Boost your colour with the label.m Brightening Blonde Conditioner, a deeply nourishing treatment for blonde hair that creates glossy, sun-kissed locks. 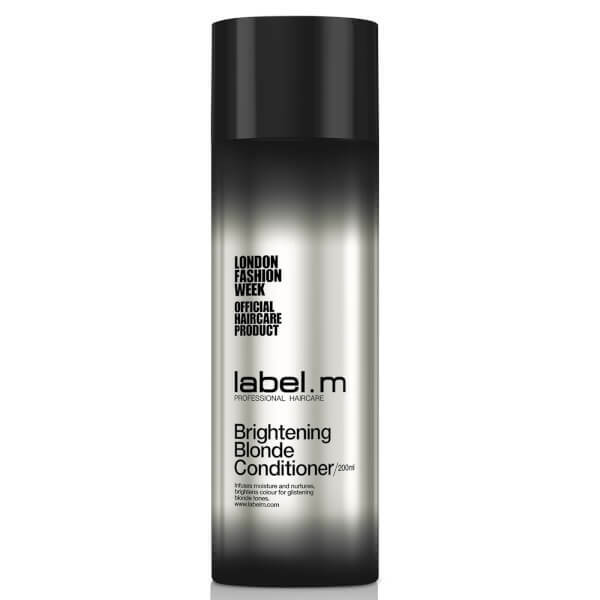 Replenishing vital moisture to strands in order to prevent dryness and tangling, the rich conditioner helps to enhance and extend the life of your colour, minimising brassy tones and bringing out highlights. A potent blend of Custard Apple, Starfruit and Vitamins B and C work to strengthen hair fibres from root to tip, creating a defensive veil to protect against heat styling, humidity and UV rays. Expect bright, healthy and hydrated results.